Royal themed match three game. Is there a better alternative to Royal Gems? Is Royal Gems really the best app in Puzzle category? Will Royal Gems work good on macOS 10.13.4? 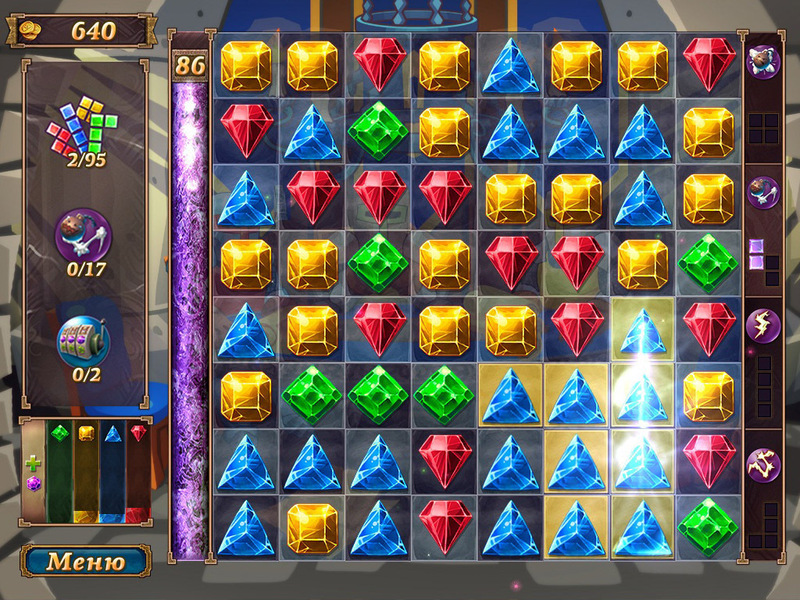 Countless king's bounties will be yours in Royal Gems! User your wit, and the prize will be yours in no time! Create figures with gems on the field and receive bonuses. Earn crystals for completing the levels and use them to buy upgrades in the shop. Use spells to gain even more points. See that your slot machine is always full, and upgrade your parameters. Complete the level's objectives and get more bonuses than ever! You won't be able to resist the absorbing gameplay, plunging into the world of royal bounties! Royal Gems needs a review. Be the first to review this app and get the discussion started! Royal Gems needs a rating. Be the first to rate this app and get the discussion started!